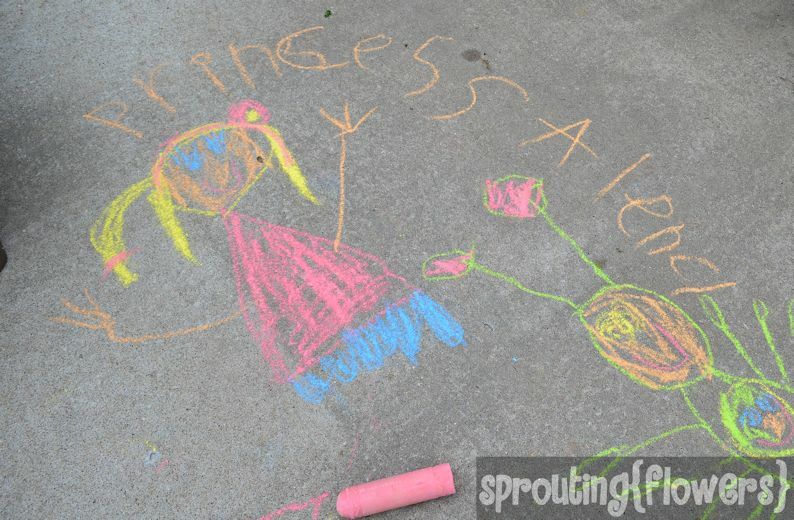 While it wasn't a bad week in our homeschool, it was a slightly disorganized and disjointed week. We got everything done and had pretty good attitudes, but it just didn't feel like things ran smoothly. Here are a few snippets of our week. Monday was a dreary, gloomy day. 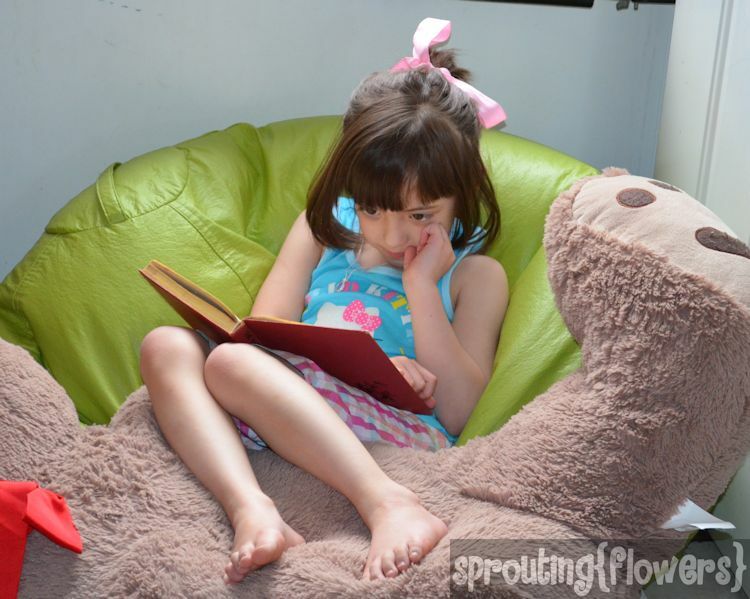 In order to get some good light for reading, Miss M dragged her bean bag chair and giant teddy bear to the back door. She sat there cozily reading a second Happy Hollisters book! 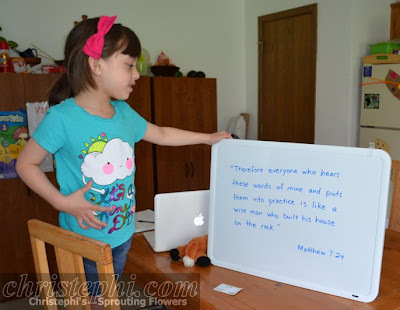 Miss M's favorite way to learn a new memory verse is to write it on the white board and then erase a word at a time, reading it between each erasure and filling in the missing word. She gets so tickled when she gets towards the end and there are only a few words left. We learned about what it means that Jesus is our Rock and how we can build our lives on him. We also learned about Benjamin Franklin this week. He was such an amazing man! 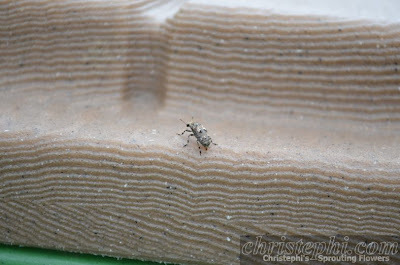 Unidentified bug on the lid of the sandbox. 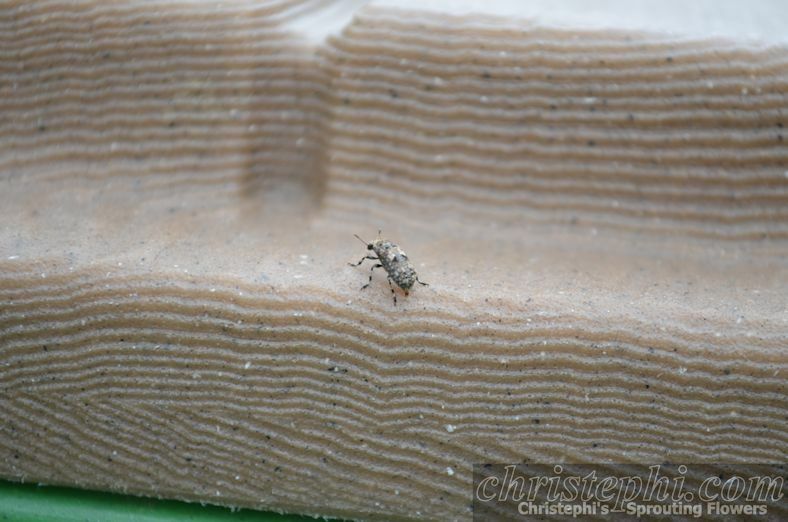 Carpet beetle. 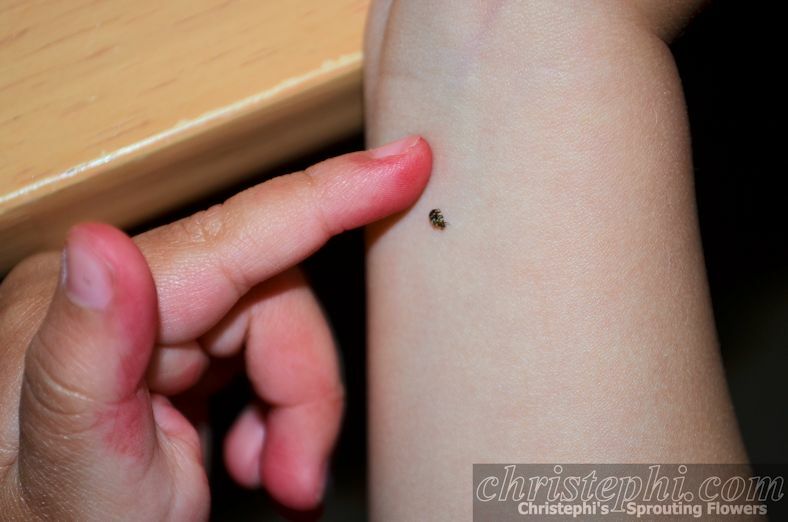 Fondly dubbed "a cute beetley bug" by Little Guy. Unrelated to our curriculum (but quite relevant to their education! 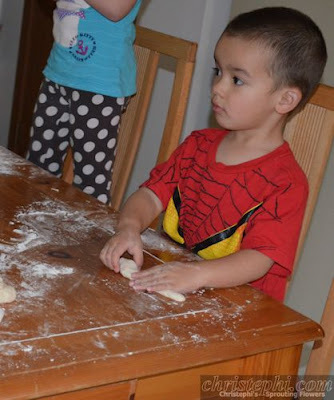 ), we worked together to made breadsticks. This is our favorite recipe. 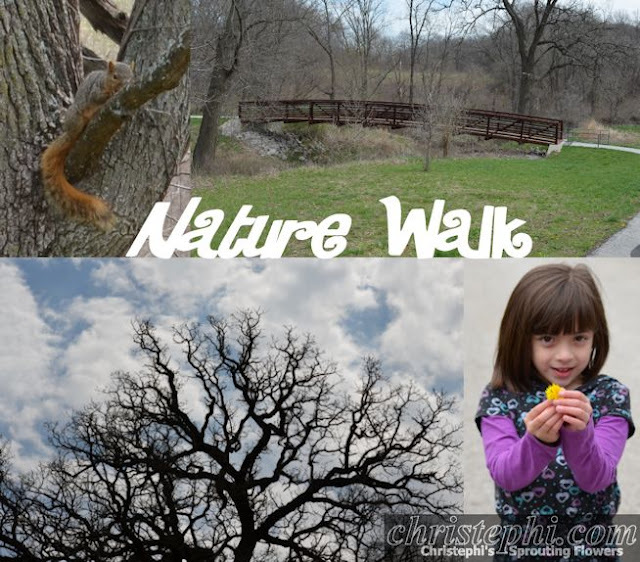 We ended our week as usual with a nature walk.